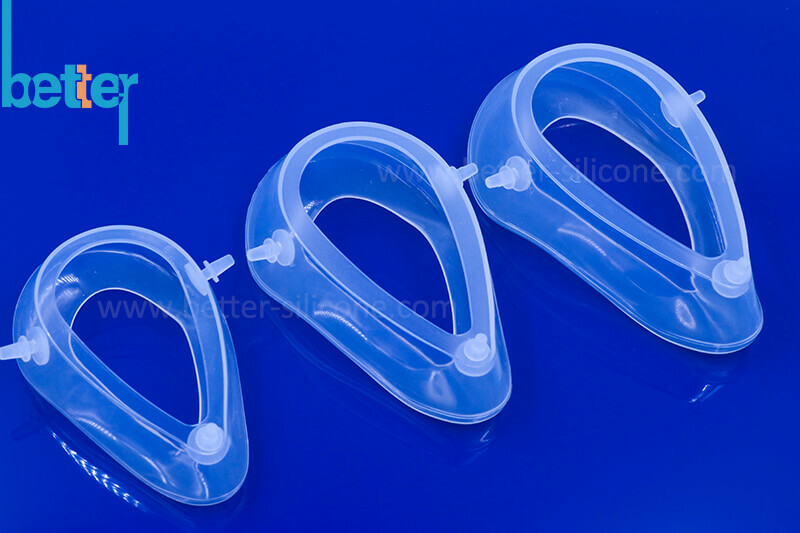 New silicone masks are made of medical grade silicone because this is generally considered the material of choice for its superior ability to conform to the patient's facial anatomy. 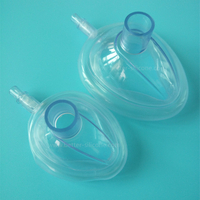 The field of application for the masks includes anesthesia and mask ventilation for pediatric and adult patients. 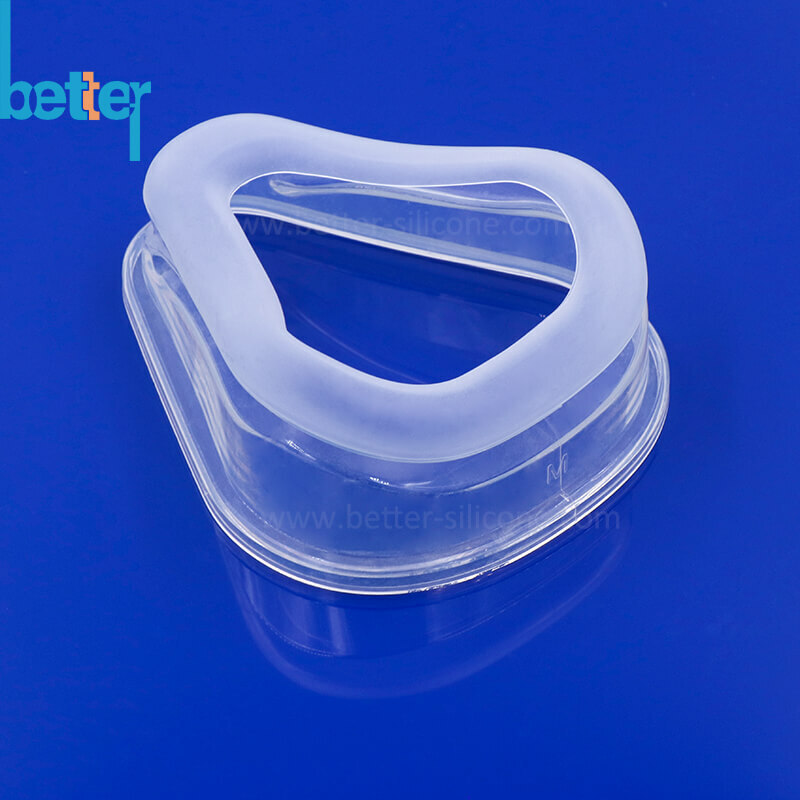 seal for facial contours of adult patients. and material allow for safe handling by doctors and nurses. 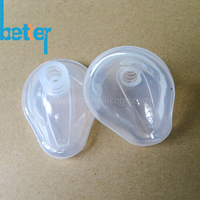 The silicone masks are reusable. 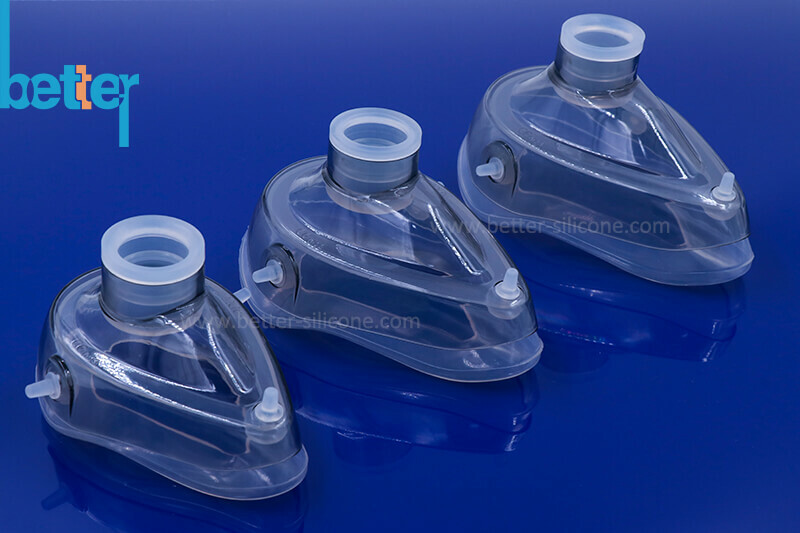 Mask dome and cushion are made of medical grade silicone. 2.Mask joint is the standard diameter 22/15 mm (conform to standard: ISO5356-1). 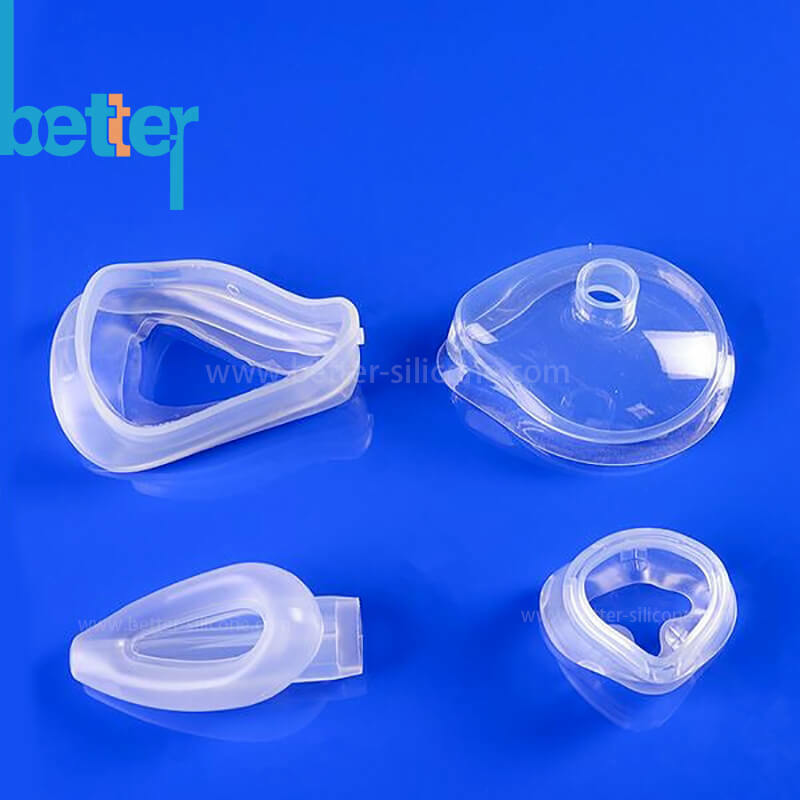 3.The mask is made of silica gel material, conform to the requirements of the ISO10993 medical biological evaluation. 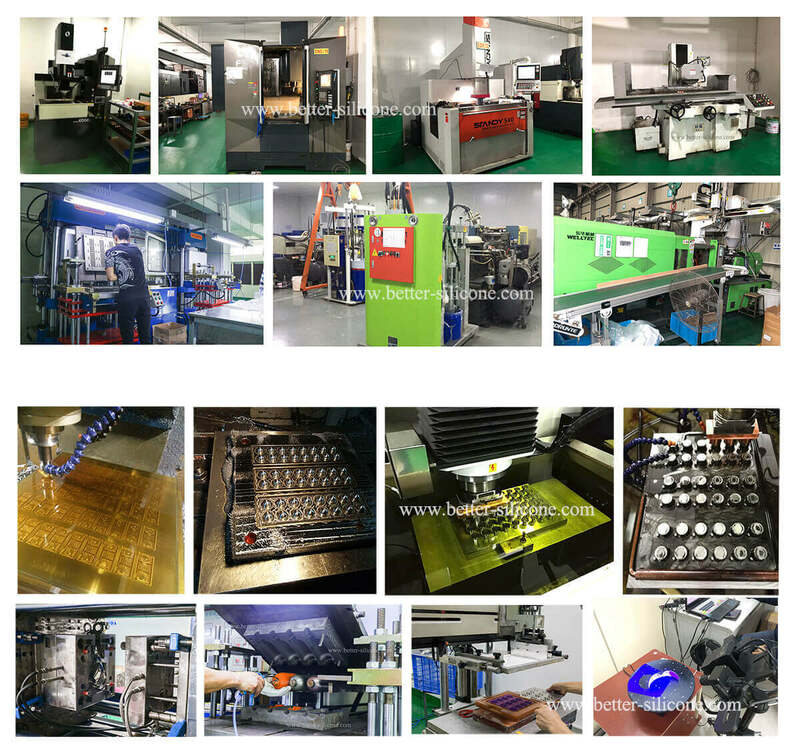 4.This product conform to the requirements of the eu MDD/directive 93/42 / EEC. 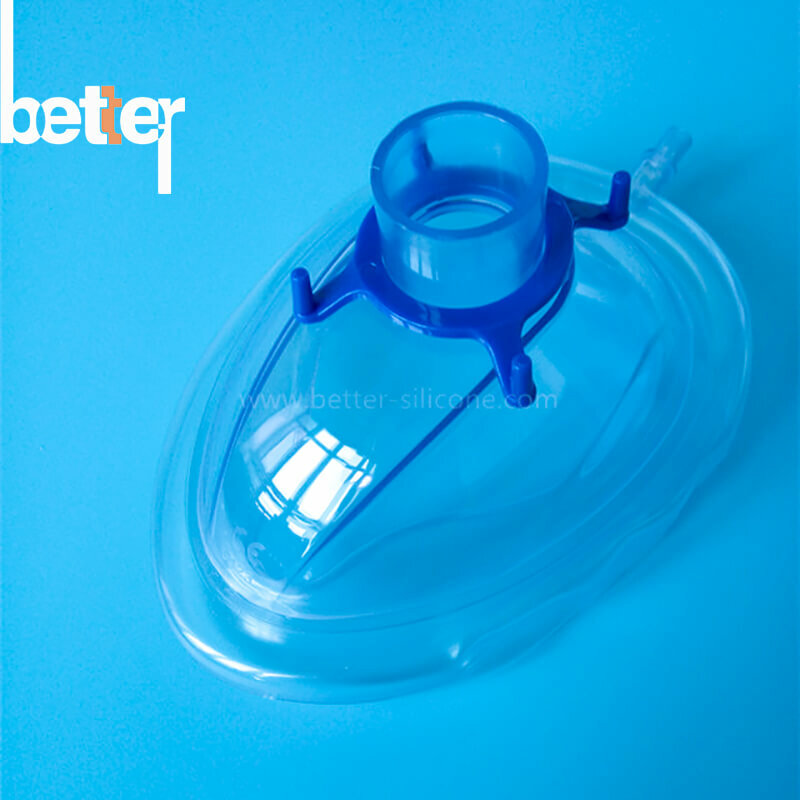 The PVC resuscitator disposable face masks are designed for use with manual and automatic resuscitators and ventilators. 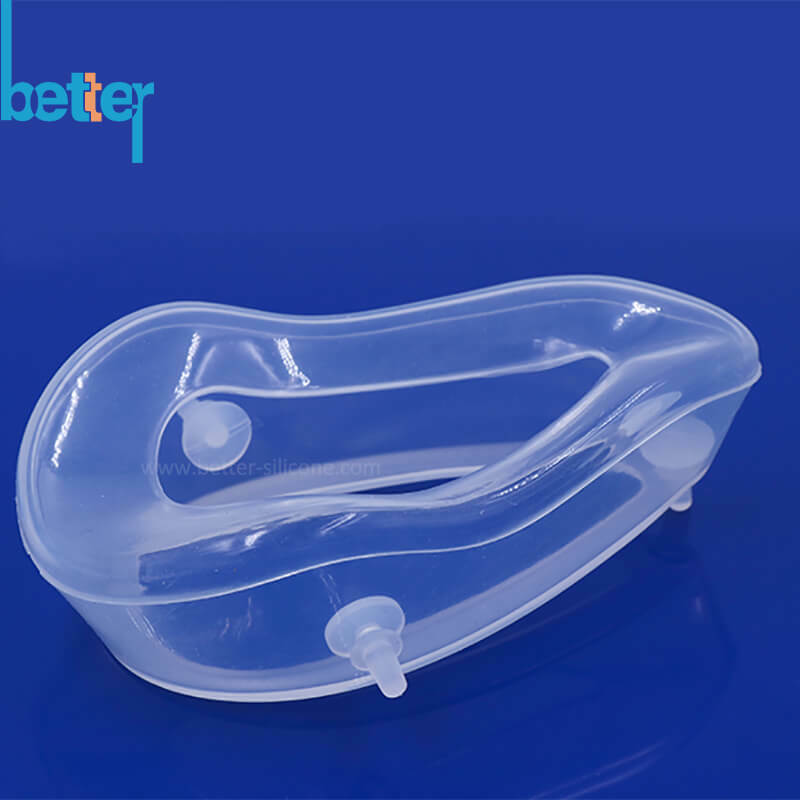 Masks feature dome with thumb rest and a soft, shaped, air-filled cuff to allow a tight fit to the patients face with easy grip. Supplied with hook ring. 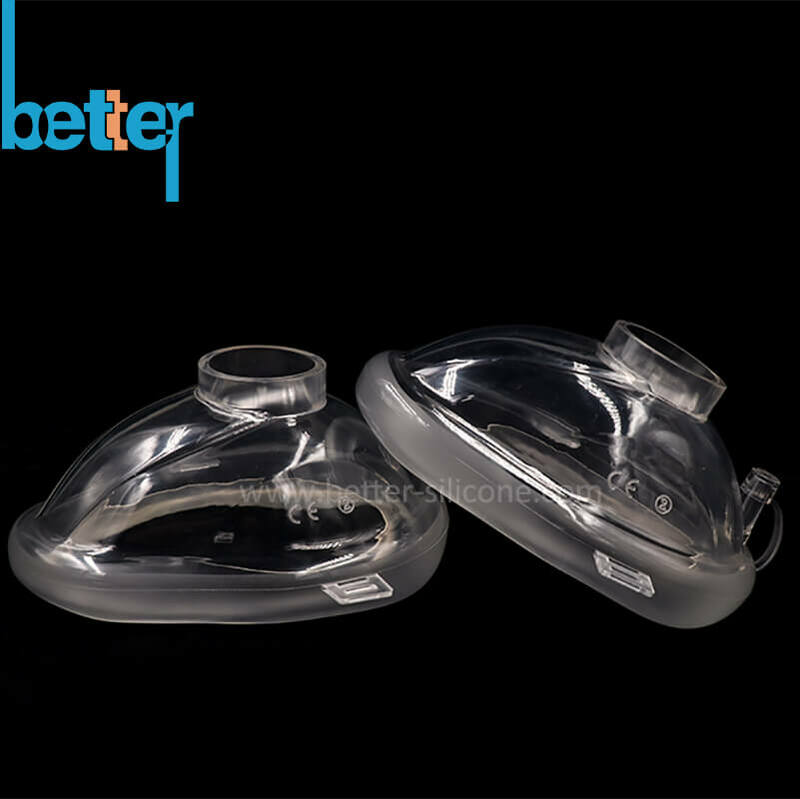 Mask dome and cushion are made of PVC. Masks are individually packed, nonsterile. - Non-reusable, single use only. - Color-coded hook ring options. - Injectable and adjustable air cushion. 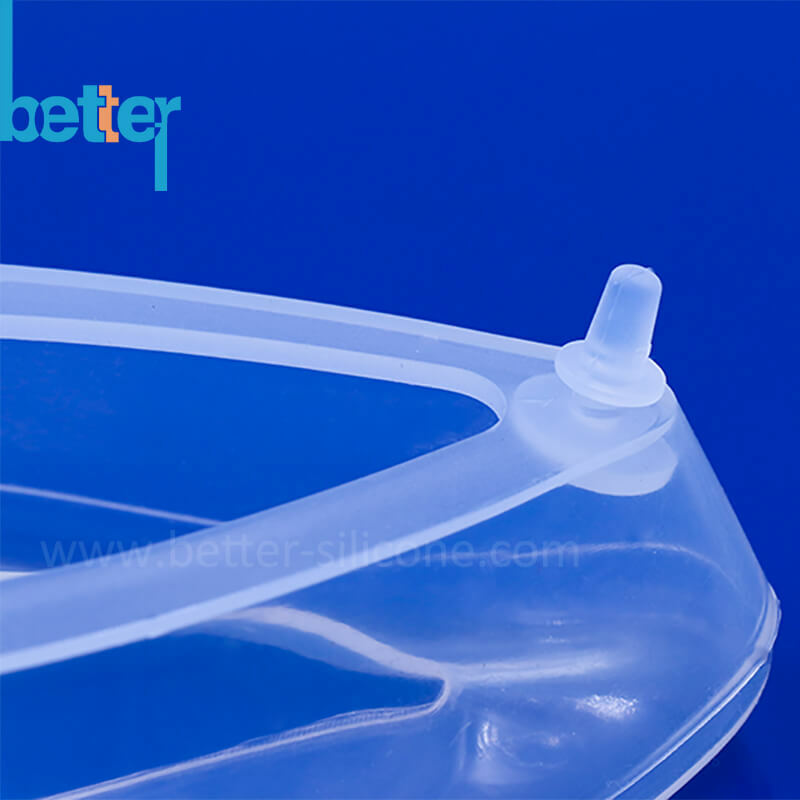 - 100% Medical level PVC material. 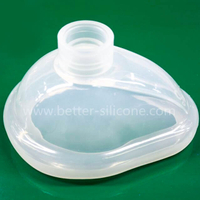 Due to being disposable, it can eliminate the possibility of cross-contamination. Any cleaning, disinfecting or sterilizing is not necessary for it. 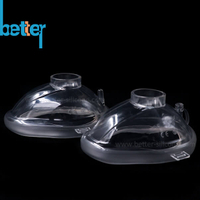 It is equipped with a pressure limitation valve for patient's safety.Its textured surface ensures a firm grip and providing effective ventilation. Patient connector is Φ22/15 mm(ISO5356-1). 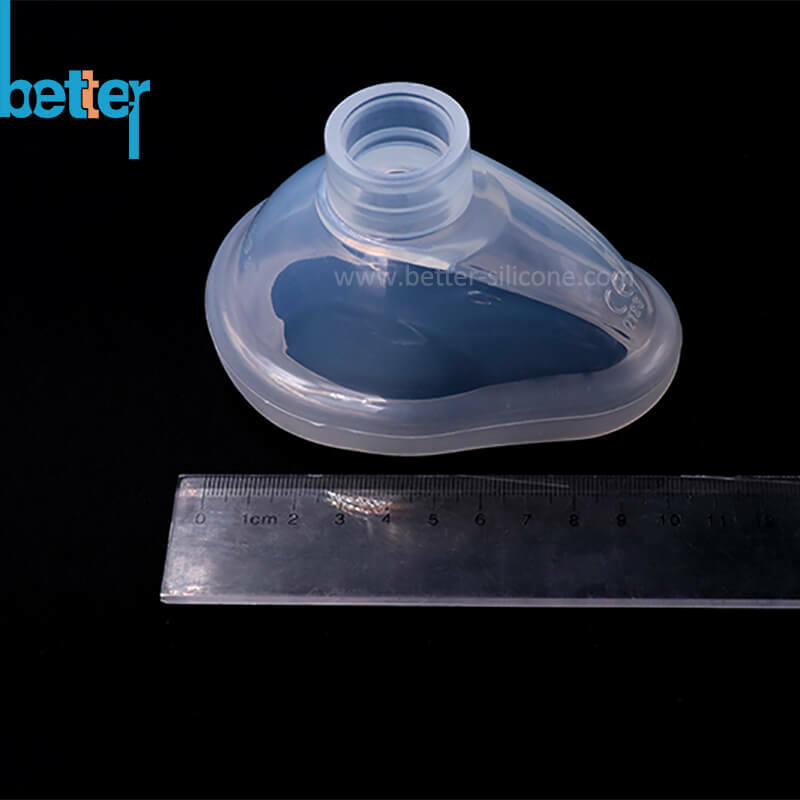 The resuscitator bag is made from PVC which is fully disposable and 100% latex free.The PVC resuscitator conforms to the standard: ISO 10651-4:2002; and it also conforms to Council Directive MDD/93/42/EEC concerning Medical Devices. and other auxiliary equipment etc.